Our produce department features fruits and vegetables from around the world and from around the corner. We have over 40 greens for cooking and salads year round – many of those choices are also available in our organic section. Fresh produce is inspected daily at our distribution center before being delivered to every store to guarantee that you are buying the freshest produce available. Many items in produce are now available all year long. We work with an extensive network of New England farms to bring you “farm to table” fruits and vegetables in spring, summer, winter, and fall. In addition to our local produce, we procure fruits and vegetables from around the world. 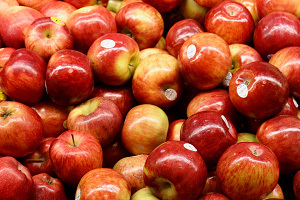 We currently carry over 200 organic fruits and vegetables at an exceptional value. 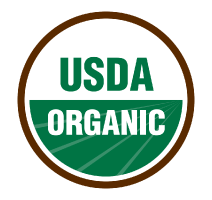 For those customers looking for organics sourced both locally and globally, we offer you an evergrowing selection. If there is a particular item that you would like your Market Basket to carry, please let us know! 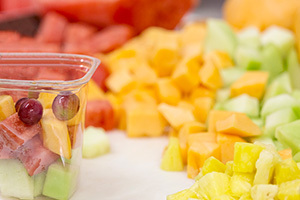 We cut fresh fruit and vegetables daily at 36 of our locations to make preparing your meals easier and to make snacking healthier. We also offer the latest food trends, including vegetable noodles and riced vegetables, available at all Market Basket locations. Our extensive potted and cut floral program brings you high quality at a fraction of the cost. 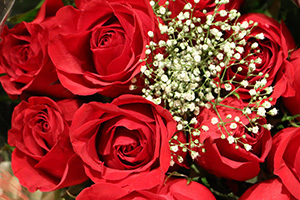 We have single roses, bouquets, hangers, and succulents to dress up your home or to give as gifts. We also carry a large selection of balloons for any occasion. From small stick balloons to jumbo themed balloons, our balloons are sure to be a hit! 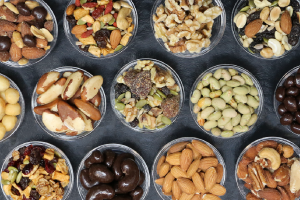 We offer over 40 varieties of natural nuts and seeds in our produce department, including organic options! Read about the benefits of nuts, as well as a list of all the nuts and seeds we offer!